So far in this blog series, we’ve been looked at the role of corporations in addressing three major threats to biodiversity: habitat destruction, invasive species, and pollution. In this fifth and final post, we’ll explore another big biodiversity threat: overharvesting. “Overharvesting” is a broad term that refers to the harvesting of a renewable resource at a rate that is unsustainable. 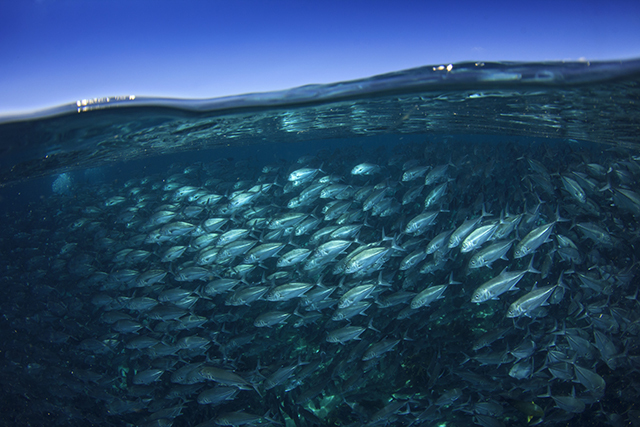 The term can apply to plants, fish stocks, forests, grazing pastures, and game animals. The motivation behind hunting, fishing, and plant collection may be for food, economic reasons, cultural reasons, or sport. Regardless of the reason, overharvesting implies that changes need to be made to current harvesting practices or else animal and plant populations may not recover. The result can be species extinction at the population or species level, and major ecosystem disturbances due to imbalances in predator–prey relationships. Unfortunately, we’ve seen many examples of overharvesting over the years—everything from passenger pigeons, tigers, rhinos, and certain species of fish. Let’s look at passenger pigeons as an example. When famous naturalist and artist John James Audubon was on a trip to St. Louis, Missouri, he noticed a sky that was darkened by a large flock of passenger pigeons flying overhead. He described the flock as having no beginning and no end, and the flock continued as a steady stream for three days. As the story goes, Audubon started to count the number of pigeons that he could see in the sky, but he soon gave up. There were too many to count. Today, it’s quite easy to count how many passenger pigeons are in the sky: zero. They are extinct. In the late 1700s and early 1800s, passenger pigeons were one of the most abundant bird species in the world, with an estimated population of three to five billion birds. That’s twice the number of people on Earth at the time. In only 100 years, passenger pigeons were wiped out of existence, primarily through hunting. The last verified record of a wild passenger pigeon was in March 1900, when a boy in Pike County, Ohio, shot the bird because it was eating corn at his farm. That left just a few remaining passenger pigeons in a single captive flock at the Cincinnati Zoo. Breeding attempts failed, and the flock dwindled until there was only one left: Martha. A US$ 1,000 reward was offered to anyone who could find a mate for Martha, but none was found. On September 1, 1914, Martha—the last known passenger pigeon—died at the Cincinnati Zoo at the age of 29. Martha’s body is periodically on display at the Smithsonian Institution in Washington, DC, and a memorial statue of Martha can be found at the Cincinnati Zoo aviary. Even if you consider pigeons to be flying rats, the story of the passenger pigeon’s demise still represents a failure of epic proportions when it comes to fulfilling our responsibility to be good stewards of the environment. In the 1800s, the idea that a species could be hunted to extinction was a foreign concept to most people. Now that we’re in the 2000s, I would like to be able to say that we’ve learned our lesson; unfortunately, we’re not quite there yet. Overharvesting is alive and well. For example, unsustainable fishing practices, such as bottom trawling and blast fishing, are still practiced today, and we’ve seen significant declines in several commercial fish populations, such as Atlantic halibut, to the point where their survival is threatened. Tigers and rhinos have been overhunted, primarily for traditional medicines derived from various parts of these magnificent animals. While it’s illegal to hunt and kill tigers and rhinos, the economic incentive from Asian medicinal markets is so great that the hunting of these endangered animals continues. Thankfully, we may be rounding the corner for some charismatic animal species, such as the tiger. For the first time in more than a century, the world population of tigers is on the rise. The number of tigers has increased from 3,200 to 3,890 from 2010 to 2016. However, there’s still much work to be done to keep this trend heading in the right direction. Let’s not forget about plants. Roughly 75% of the top 150 prescription drugs in the United States are based on natural sources, and over 25% of prescribed medicines in developed countries are derived from wild plants. We’ve also seen a multibillion-dollar boom in the herbal market, fueled largely by a desire to find “natural approaches” to medicine. In addition, up to 80% of people in developing countries are totally dependent on herbal drugs for their primary healthcare. When you add all of this up, it’s no surprise that medicinal plants are facing significant overharvesting pressures. Roughly 15,000 species of the 50,000 to 80,000 flowering plant species used for medicinal purposes worldwide are threatened with extinction from overharvesting and habitat destruction. The best way that most companies large and small can help prevent overharvesting is to “green” their supply chain. “Greening the supply chain” adds an environmental lens to traditional supply-chain management practices. Greening the supply chain is also an effective strategy for combating other biodiversity threats, such as habitat destruction and pollution. •	Setting environmental standards that all suppliers must meet. •	Creating performance goals, metrics, and supplier scorecards that are used to monitor and evaluate supplier performance over time. •	Establishing a supplier-audit program to verify that suppliers have successfully implemented processes that are effective in reducing environmental impacts. •	Improving business processes to reduce environmental impacts. •	Identifying alternative materials that have a smaller environmental footprint. •	Partnering with government agencies, industry groups, and nongovernment organizations (NGOs) to look for new ways to improve environmental performance. Greening the supply chain is definitely a profitable-conservation strategy—just ask Dell Computer. Dell holds supplier-innovation summits to generate new ideas for improvements across all areas of the supply chain. For example, one supplier-innovation summit generated the idea that it can remove toxic paints from some of its computers and replace it with a much safer film covering. Another Dell supplier came up with the idea to mix in straw grass with wood-based pulp for some of Dell’s corrugate boxes. Straw grass is a more quickly renewable resource compared to trees. In addition, straw grass is burned as a farming waste product in parts of China. Rather than burn the straw grass, it could be utilized in the corrugate boxes. Because of this suggestion, Dell now uses a mix of 30% straw grass pulp in some of its boxes. Dell’s innovation program has reduced supply-chain costs by roughly US$ 100 million annually for the past two years. Dell is not alone. In 2013, Walmart announced that it saved US$ 150 million from supply-chain sustainability efforts in that year alone. General Motors established a reusable-container program with its suppliers and was able to reduce disposal costs by US$ 12 million while reducing environmental impacts. Texas Instruments saves about US$ 8 million per year through supply-chain management practices, such as reducing source materials and reducing and reusing packaging. As you can see from the examples above, greening your supply chain can add real value to your business by cutting costs, driving innovation for new products and processes, improving customer and consumer perception of your company, and helping you meet or exceed environmental regulations and performance targets. Greening the supply chain isn’t the only strategy that corporations pursue when it comes to preventing overharvesting. Some companies are leveraging their technology to help prevent hunting of endangered wildlife. Let’s look at Cisco Systems as an example. 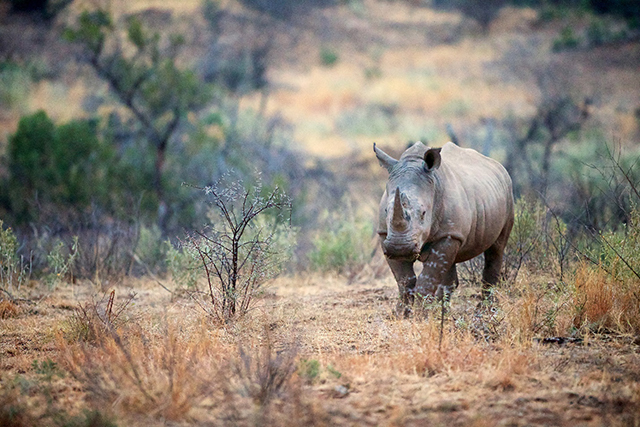 Cisco Systems has partnered with Dimension Data on a Connected Conservation initiative to track rhino poachers at a game reserve in South Africa. Cisco and Dimension Data are using seismic sensors, drone cameras, thermal imaging, biometric scanning, and networking technology to track the movements of all humans who enter the reserve grounds. Park rangers use these new tools in combination with traditional sniffer dogs and trained soldiers on the ground to catch and deter poachers while minimizing disturbances to the endangered rhinos. The results have been impressive so far. The Connected Conservation initiative has been successful in reducing rhino poaching at the South African reserve by 96%. In the future, this approach may be leveraged to protect other endangered species throughout the world. The main obstacle that prevents the spread of this technological approach is the US$ 1.5 million-per-year cost of the system. More and more companies are leveraging their products and technologies to develop solutions that directly help in the fight against overharvesting. I hope you’ve enjoyed this blog series highlighting four of the major threats to biodiversity, and the role that businesses play in helping us get to Half-Earth. Before I sign off, I want to provide you with one last reminder of the upcoming Half-Earth Day event that will be held on October 22, 2018 at the American Museum of Natural History in New York City. This year’s event includes a “Learning from Local Stewards” panel discussion highlighting key learnings from in-country indigenous and local community leaders, as well as a panel called “Half-Earth: How to Save the Natural World” that will be moderated by The New York Times columnist Thomas L. Friedman and feature E.O. Wilson and legendary recording artist Paul Simon. To learn more about Half-Earth Day, visit http://www.half-earthproject.org/half-earth-day. It’s going to be a great event. Thanks for taking the time to read this blog series, and I look forward to meeting you at Half-Earth Day! The drastic reduction in flora and fauna of various regions is another significant concern. While everyone can contribute to the activities to mitigate the effect, entrepreneurs can also earn profits in the process by investing in book mobile app. One of the primary causes of climate change is the severe rate of diminishing forests. In 2017 alone, the earth lost over 73 million acres of forest coverage. With the current rate, the world will lose a forest cover up to 3 million square kilometers by 2050.